Coming Soon Visits the Set of Annabelle Comes Home! Annabelle Comes Home starts where The Conjuring starts, with the nurses who were attacked by the Annabelle doll. Paranormal investigators Ed and Lorraine Warren (Patrick Wilson and Vera Farmiga) take the doll home and put her in their artifacts room. 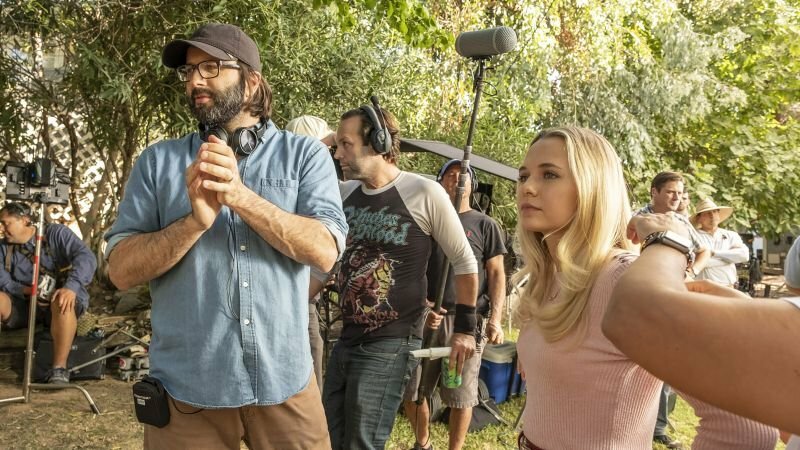 They leave daughter Judy (McKenna Grace) with babysitter Mary Ellen (Madison Iseman) for the weekend. Mary Ellen’s friend, Daniella (Katie Sarife) comes over, Annabelle gets out, and the three girls are terrorized. 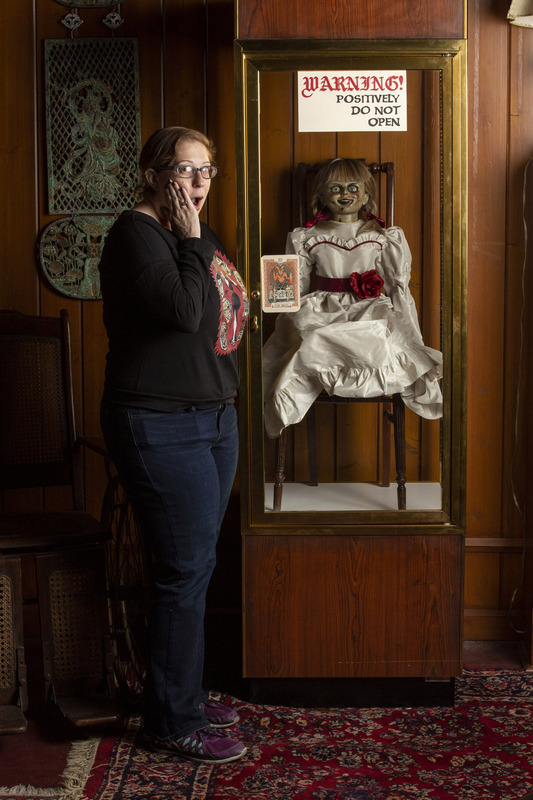 As seems to be the trend on horror sets nowadays, Annabelle Comes Home had a set blessing the week before a small cadre of journalists came to visit. After a series of weird events took place on the sets of previous Conjuring Universe films, ranging from the random appearance of runes in different locations, to lights turning on and off for no reason, a priest was brought out to bless the set. He also gave a special blessing to Grace, Iseman, and Sarife, as well as rosaries blessed by Pope Francis. Iseman didn’t have any weird incidents on set, but Grace says that during rehearsals when she would step foot on set, her nose would start pouring blood. While the other girls are big fans of horror films, Sarife is a self-described “baby” when it comes to scary movies. 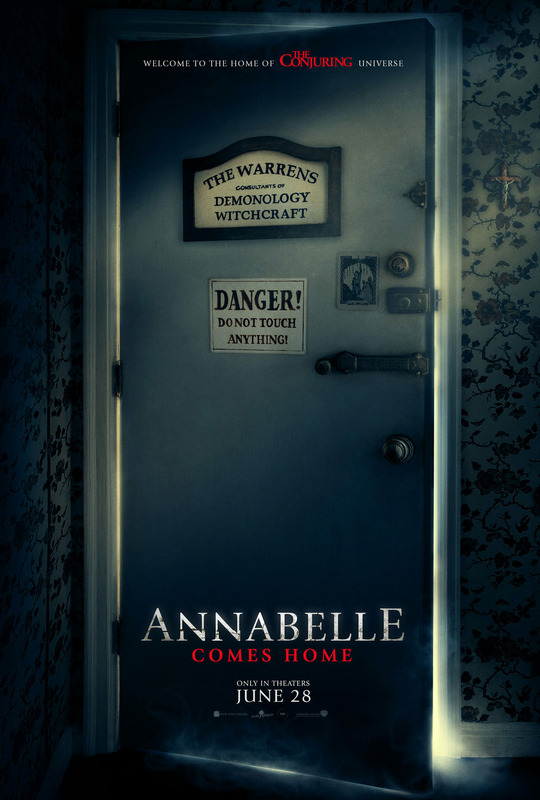 Virtually the entire film takes place in the Warren home which was built on the same stage they used for Annabelle: Creation. Spence promises us plenty of Easter eggs to keep fans of The ConjuringUniverse on their toes. The only one she showed us is a painting in the living room that is a replica of the house from Annabelle: Creation. Patrick Wilson requested this painting specifically, and Spence had a few hours to create it. She made sure to do it in Ed Warren’s style (the real Ed was a painter), and includes a silhouette of Annabelle in the window. We see them filming two scenes today. In the first, Judy is praying in her parents’ bedroom when Mary Ellen checks on her. Judy says that she sometimes sees things like her mom does, and begs her not to tell anyone. In the second scene, Daniella sneaks into Ed’s office and is watching a home movie. Daniella is obsessed with a wedding dress that causes brides to stab their grooms (sounds like the set-up for another movie) and decides she wants to watch an exorcism. Grace was excited to meet the real-life Judy Warren. “It was very exciting. I flipped out,” the young actress enthuses. She was equally excited about meeting Wilson and Farmiga. “I met them, then I went to the school room and cried because I was so excited.” Wilson and Farmiga are described as having “more than a cameo,” but not quite enough to be considered supporting roles. Annabelle Comes Home hits theaters on June 28th.